It's World Breastfeeding Week from August 1st to August 7th, and the Irish Parenting Bloggers have decided to do a Blog March to show support. Each of us will publish a post this week based on our own breastfeeding experiences, and linked to this year's theme: Breastfeeding Support: Close to Mothers. When my first baby was born, I had trouble latching her on to breastfeed. I asked for help. I was in an extremely overcrowded ward, in which there were eleven beds – it was a six person ward so we were all sharing cubicles. It was surreal chaos. The staff had no time to help – they were apologetic but explained that it was too busy. For some reason I didn’t panic – my daughter was sleepy and wasn’t looking to feed. I just kept trying on and off during the night but I didn’t worry too much. All night long, beds were wheeled in and out, staff were called by ringing bells, babies cried, mothers cried too. The nurses said it was busy because of the full-moon. I didn’t panic. And I didn’t feed my baby. At 20 hours old, she still hadn’t fed at all. I don’t know what would have happened if I hadn’t been moved– maybe the chaos would have died down and the moon would have waned, and someone would have come over to take me by the hand and say “Now, let’s see about getting you some help with breastfeeding” Maybe. A good friend had a similar experience a year later, but with a different outcome: she too had difficulty latching her baby and called for help. The staff were busy, perhaps even more so than usual, and she was made to feel that she was causing an inconvenience by ringing the bell. She had been in pre-labour and labour in the hospital, for three days, and had needed surgery after delivery. She was vulnerable, upset, physically weak and lost. She was afraid that she was damaging her baby by not feeding him. But nobody helped her. Unlike me, she didn’t get the hotel-like experience of a room move (it’s a lottery), and as each hour went by, she worried more and more about not feeding her baby – she started to give him bottles of formula in between attempts to feed. Happily for her state of mind, her baby took the bottles. But sadly for her future breastfeeding relationship, her baby was less and less able to latch. At home she continued to try to breastfeed, to try expressing, but again with no support, and not long her after, her baby was exclusively on bottles. And this now lively, smart, wonderful four-year old is a credit to his mother – but she is still sad about her breastfeeding experience. I’ve heard countless similar stories – some from real life friends, many from online discussions. So many mothers who feel sadness and unfortunately also misplaced guilt about the breastfeeding relationship that they didn’t have the chance to experience. So why is there not more support for new mothers in our maternity hospitals? Why are there no lactation consultants available? You just have to know about them and know to shout loudly. Four years after my first breastfeeding attempt, I discovered that the NMH in Holles Street has three wonderful lactation consultants. This was when my third baby was born, and I was having difficulty with what was later diagnosed as tongue tie. I was home from hospital and speaking to my public health nurse by phone, wondering why feeding was so painful, when that hadn’t been the case with my first two babies. This smart, supportive PHN listened carefully and wondered aloud if it was tongue tie, and suggested that I call Holles Street to speak to a lactation consultant. Until that moment, I didn’t know they were there. I phoned, I went in, they are wonderful. They helped diagnose my baby’s tongue tie and suggested to contact a private lactation consultant, Nicola O'Byrne, leading to a referral for a tongue tie division. Most importantly, in the meantime, they listened to me, observed me breastfeeding, helped me to find a position that eased the pain caused by tongue tie, and told me to come back anytime for more support. I could really have done with this support when my first baby was born, that first morning in the eleven-bed chaos. And my friend might have managed to breastfeed her baby if a lactation consultant had come to visit wards and speak to first time mums trying to latch on. But neither of us knew that such a facility existed, we didn’t know to ask. And nobody in the hospital suggested it either. 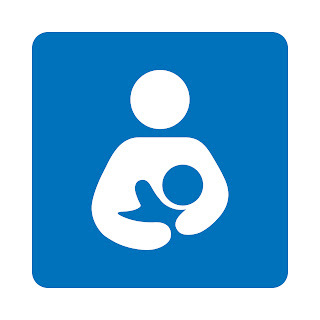 Perhaps if HSE resources were channelled into hands-on breastfeeding support for new mothers instead of the endless posters we see in public health clinics and hospitals all over the country, it would be a better use of funds? If an expectant mother has already decided not to breastfeed, I really don't think she's going to look at a poster in her local clinic and think "actually I've completely changed my mind, I'll do it because that picture looks pretty"
So instead of trying to convert people who have already made up their minds, why not focus on helping those who really want to breastfeed their children? Surely it's a mutually beneficial strategy - happier mothers who succeed to breastfeed their babies as they had hoped, and an overall increase in breastfeeding rates which benefits the health of the nation in the long-term and help to normalise breastfeeding. It may take generations to bring our rates up to those of our Scandinavian neighbours but in the meantime, we could have fewer guilt-laden, lost mothers who just needed a little help to feed their babies. August 5th: Debalicious with So you want to breastfeed in Ireland? Bumbles of Rice with Breastfeeding in the Middle Ground Mind the Baby with What's wrong with this picture?